Super Rugby will have a new domestic naming rights partner in Australia for the next four years, the Australian Rugby Union (ARU) announced on Wednesday. FxPro Super Rugby will kick off in 2012 on the last weekend in February, launching a new relationship between ARU and the global foreign exchange broker. The unveiling of the new name and logo for the competition was made in Sydney where players from the five Australian Conference teams modelled their new strips for the coming season. Super Rugby moved to a Conference format in 2011, expanded its finals series and welcomed a new team in the Melbourne Rebels - giving Australia parity with SANZAR partners New Zealand and South Africa who also field five sides in the championship. ARU Managing Director and CEO John O'Neill welcomed the announcement of the new Australian naming rights partner for Super Rugby. "We're delighted to welcome FxPro into the framework of Australian Rugby through a now well-established championship that is unquestionably the best of its type in the world," O'Neill said. "The status of Super Rugby clearly has an alignment with the objectives of FxPro and we believe the relationship will be enormously beneficial to both parties. "Having a foreign exchange broker with offices across a large number of nations is fitting for a championship that is unique - being played across three territories as diverse as Australia, New Zealand and South Africa. 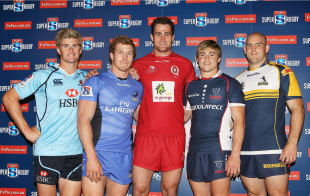 There is not another regular Rugby competition of such magnitude and length that has as broad a reach as Super Rugby."